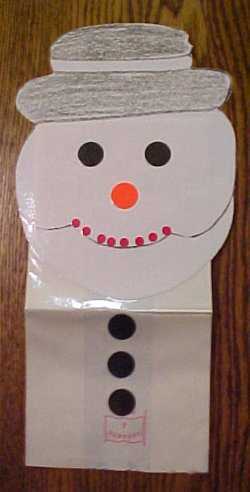 Provide student with piece of white construction paper with snowman head. Color hat. Cut out head. Glue head on sack. Add signal eyes for eyes, nose, mouth, and buttons.